U.S. Sen. Ted Cruz's poor finish in the New York GOP primary was so foreseeable that he spent the evening in Pennsylvania. PHILADELPHIA — There was so little doubt that U.S. Sen. Ted Cruz would fare poorly in Tuesday's New York presidential primary that he held his watch party in Pennsylvania. And as expected, the junior senator from Texas was heading for a third-place finish Tuesday evening, far behind frontrunner Donald Trump and trailing even Ohio Gov. John Kasich. Most news outlets called the GOP race immediately after polls closed in New York. With about 80 percent of the vote tallied, Trump was drawing about 6o percent of the vote, with Kasich pulling about 25 percent and Cruz about 15 percent. The night's bigger question is whether Cruz and Kasich can win enough delegates in New York and in several states next week to chip away at Trump's chances to lock up the nomination before the GOP convention in Cleveland this summer. It was too soon to tell at the time of the call if that happened. Cruz currently trails Trump in the aggregate delegate count, but his campaign is preparing for a floor fight in July. It was a rocky campaign in a tough state for Cruz, and he telegraphed as much when he opted to host his watch party out of state. Cruz enraged many New Yorkers in January when he criticized Trump for having "New York values," akin to Democrats such as Gov. Andrew Cuomo and former Secretary of State Hillary Clinton. Cruz barely touched on the primary in his remarks in Philadelphia prior to New York polls closing. Instead, he alluded to Trump as "a politician winning his home state." Cruz left out his usual red-meat lines and gave a solemn speech that sought a unifying, presidential tone. "This is the year of the outsider. I'm an outsider. Bernie Sanders is an outsider," he said of Clinton's rival in the Democratic primary. "Both with the same diagnosis, but both with very different paths to healing." In aggregate, the state of New York will award 95 delegates to GOP presidential candidates. Trump will likely walk away with most of those delegates, but what remains unclear is how many delegates Cruz will take from New York. His campaign targeted conservative pockets in an otherwise liberal state. Cruz campaigned in upstate New York and in some parts of New York City. But his campaign turned to Maryland and Pennsylvania this week, looking to their April 26 primaries. Cruz is scheduled to campaign Wednesday morning in Hershey, Pennsylvania, with former Hewlett Packard CEO Carly Fiorina, who has been a regular presence on the trail with him. She is frequently touted as a Cruz running mate contender, should he win the nomination. 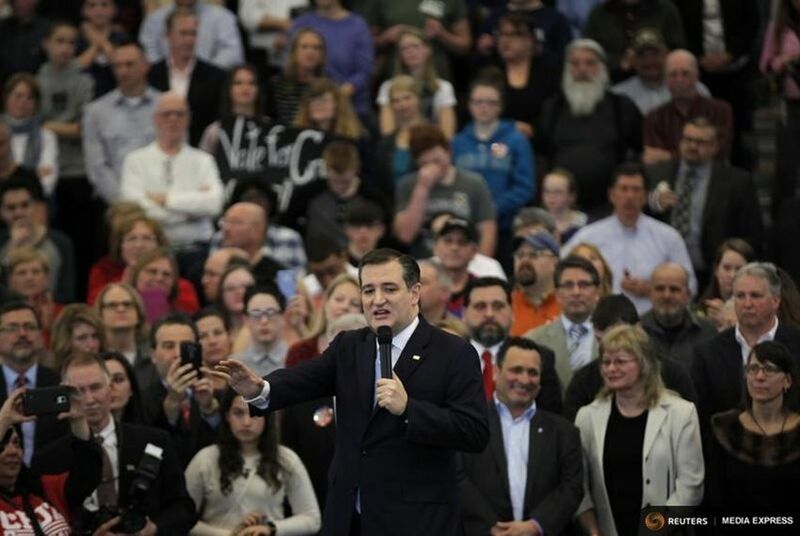 "I think he does okay [in Pennsylvania]," said Colin Smith, who attended the Cruz event. "I think he'll pick up some delegates." This Valley Forge resident is a small-business owner who is also looking for work, and he exhibited an insider's knowledge of the Pennsylvania delegate process. He said he intended to track down all of Cruz's designated delegate candidates and support them. "When Texas was voting, I didn't know a lot of this delegate stuff, either," Smith said. "So I learned as I went along." Later in the evening, news outlets called the Democratic primary for Clinton. She had 61 percent at the time CNN called the race, with Sanders trailing with about 40 percent of the vote. It was unclear Tuesday how many delegates Clinton will rack up against him. But like Trump, her aim was to run up the count in her home state and narrow Sanders' path to the nomination.